Bedtime tends to be chaotic and your 3-year-old runs screaming through the house yelling noooo, you struggle every night to get teeth brushed, pajamas on and into bed on time every night! When they finally are in bed you breathe a big sigh of relief because you just did a marathon with your toddler. Does this sound like you? It used to be us but it doesn’t have to go like that, all you need is to get your 3-year old into a bedtime routine that works for all of you. This is what we started doing with our son and it has worked wonders for his attitude about bedtime and he is staying asleep at night instead of having problems with night waking! 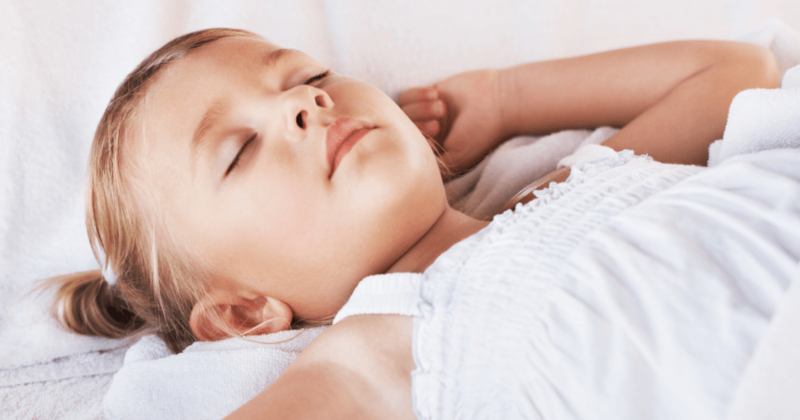 If you are having trouble because your child isn’t sleep trained here is a post I wrote that can help! The same concept works with a 3-year-old or any child that isn’t sleep trained. You may find this article on Sleep Training Your 1-Year-Old to be really helpful. 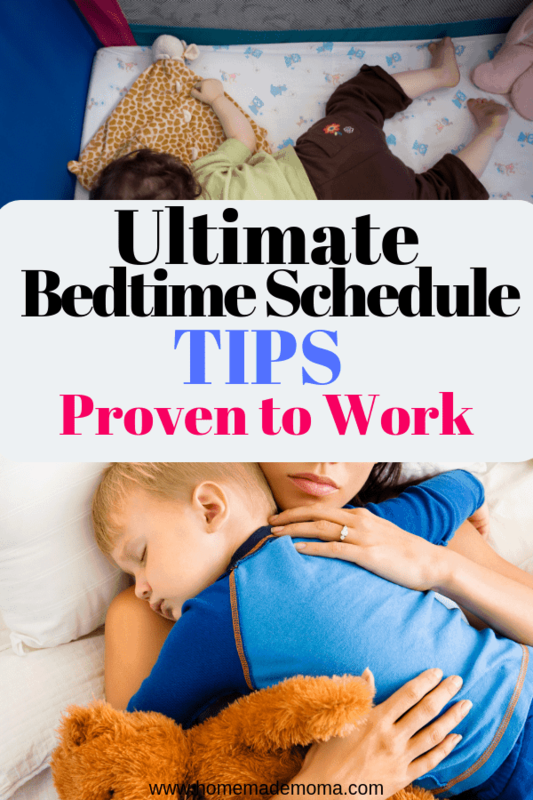 In order to make this work smoothly, you need to decide what time your toddler needs to be in bed and then plan out your bedtime routine accordingly. We used to have our son go to bed at 8:30 sometimes 8, he would fight the bedtime stuff and wouldn’t fall asleep until 10 or 11 at night and then he would wake up throughout the night for more on this you can look at webmd.com. We didn’t have a good bedtime routine in place and when we did get him ready for bed we had some pauses in our routine that made him think he wasn’t going to bed. The key here is to be consistent and always keep it moving until your little one is in bed, don’t pause to call someone or go do the dishes, make a point to start bedtime and go all the way through. The thing about toddlers is that they are creatures of habit and schedule, once you make a schedule and stick to it they know what to expect and will cooperate with you at least for the most part lol. They are toddlers and some days are better than others!! We named ours the 7:00 power block and it starts his routine every night so he is in bed by 7:30 and asleep by 8 if not before, this has been a huge breakthrough for us! Find what makes the routine fun and doable for your family and stick with it, I promise it will make such a big difference in your lives. Your toddler won’t be grumpy in the morning because they are getting 12 to 14 hours of sleep which is what is required for a 3-year-old to stay healthy and develop properly. In order to have a schedule and get your 3-year-old to be on board, you will need an hour of quiet time doing unstimulating things such as reading books, playing quietly, no TV, no Tablets, just a good hour of dim lights and maybe some soft music to start the process. Bath time can be done a half hour before the night time routine starts so that it goes right into getting ready for bed once they are out of the bath, you can have them dry off, put on lotion, pajamas, brush teeth and off to bed to read a story and go to bed. Once you get into the swing of things it will get easier for both of you! If your child tries to stall or throws a tantrum simply let them know that this is the next step and be firm without yelling. Having a chart they can check off or cards you go through will make it more fun and go a lot smoother. You can also try getting ready for bed with them and simply let them win every time, this will help motivate your toddler to get ready for bed faster. When reading a story to your little one only allow them to have one story and then it’s nighttime. If your child gets out of bed and wants something to simply walk them back to bed with no words and lay them back down. When checking on your child make it short and discreet or they will call for you all the time. If your toddler calls for you don’t go in unless it seems like something happened. Don’t have any rowdy outings planned (playing with wild kids, loud events) right before your sleep time schedule or you will have trouble getting your little one to calm down. Be sure you and your spouse stick to the same routine with no variation or this won’t work. Getting your toddler to be on a bedtime routine seems hard but once you do these things it will all fall into place. Just make sure you are consistent and stick to the quiet time routine beforehand and it will work. If the calm downtime doesn’t work for you make it a bit longer starting a half hour earlier then usual to allow your toddler to not be overstimulated before bed. Just remember forming a new routine takes 20 times to get into it in order for it to become routine, this won’t work for your child overnight but it will work when you do it consistently for 20 days. Don’t give up when it gets hard, I know toddlers can be so hard to deal with sometimes! Remember to remain calm and give short to the point answers with some firmness. I have found the quieter you say something the more they listen to you because they are trying to hear what you are saying. 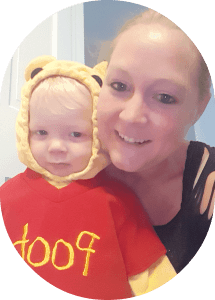 You got this momma, you will be free from the crazy night ritual and slide into the calmer one where you get more sleep and a less grumpy toddler in the morning! It’s a win-win for everyone. 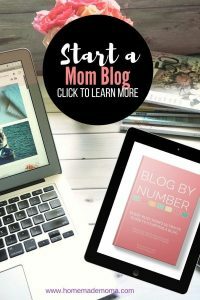 If you like this post please pin it to Pinterest so you can reference it anytime you need to! !